We proudly present the Milan Kiosk, a stunning pedestal-style kiosk designed on the principles of versatility and configurability. A large LCD displays demands attention, a bounty of hardware options allow you to configure this impressive kiosk around your specific needs. A simple philosophy is our driving force. 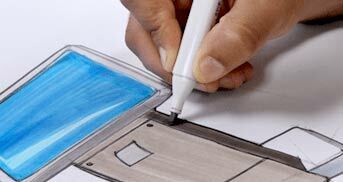 Building better kiosks starts with employing top designers and engineers who elevate the industry though inspired design. With its variety of hardware configurations, easy service access and large branding surface; the Metropolis is a high achiever and remains a popular, cost effective solution. 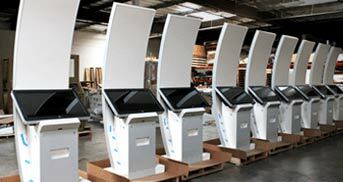 We are an industry leader in the kiosk design and manufacturing marketplace. After 3 generations of innovation and design, we remain a family-owned and operated company, with an unparalleled commitment to quality and service.